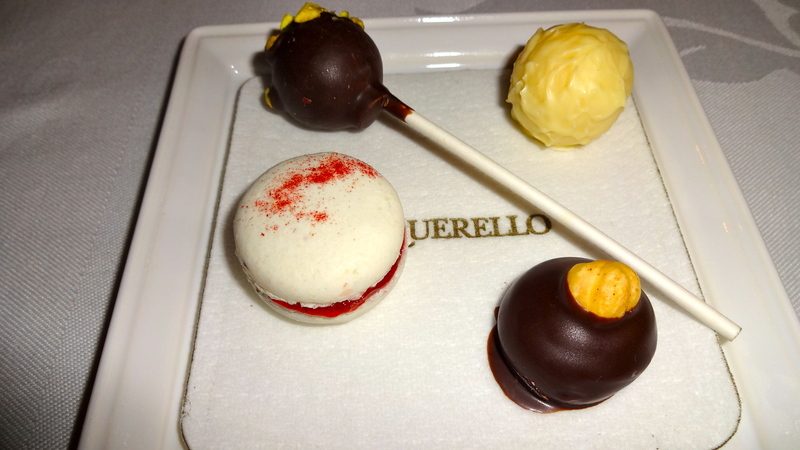 Acquerello, located in the Nob Hill area of San Francisco, was just awarded with two Michelin stars for 2015! 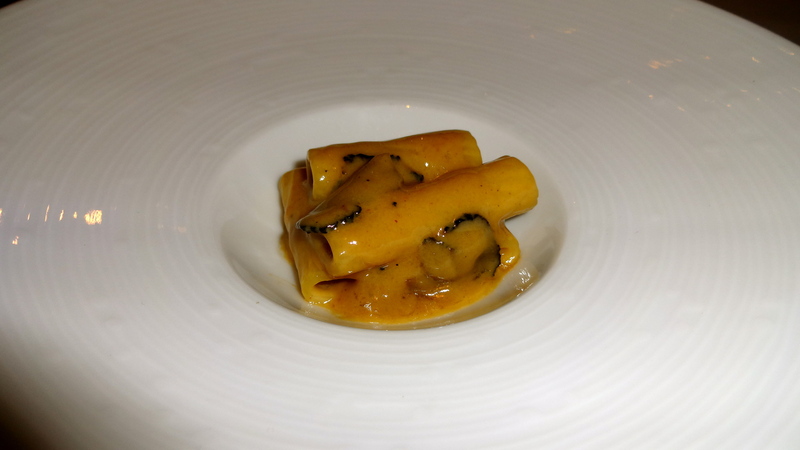 I have eaten at this fine dining Italian restaurant twice (when they had a one Michelin star), in 2013 and 2014, and both times it was a heavenly experience. 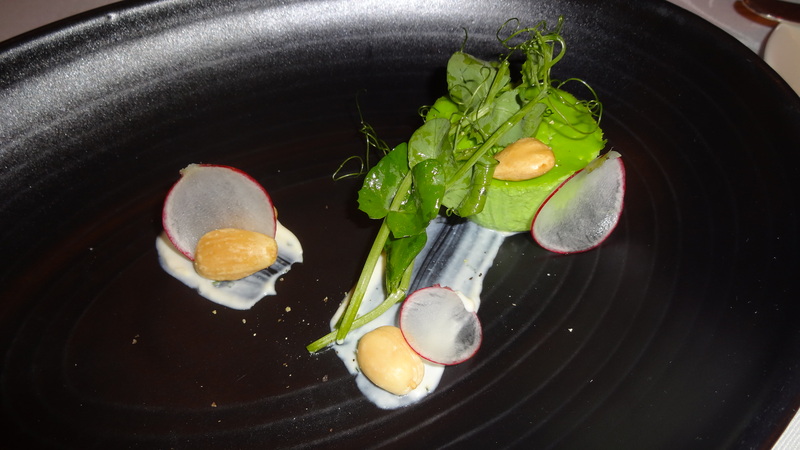 My first time to Acquerello was in summer of 2013 where I tried the seasonal tasting menu. 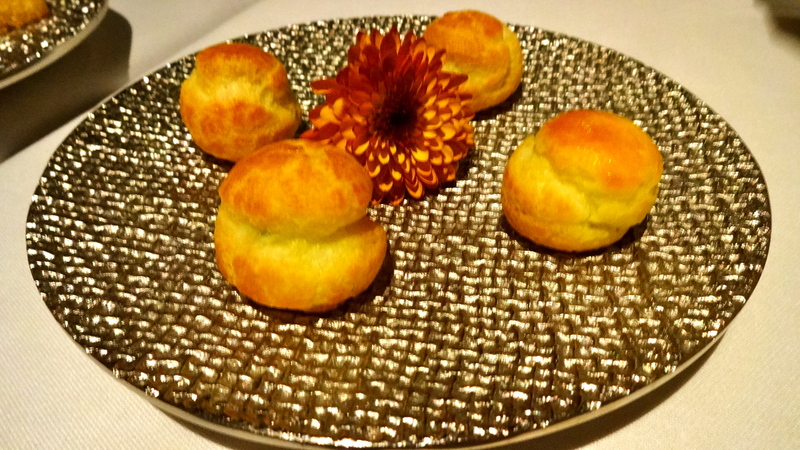 Amuse Bouche: Cheese Puffs (8/10). 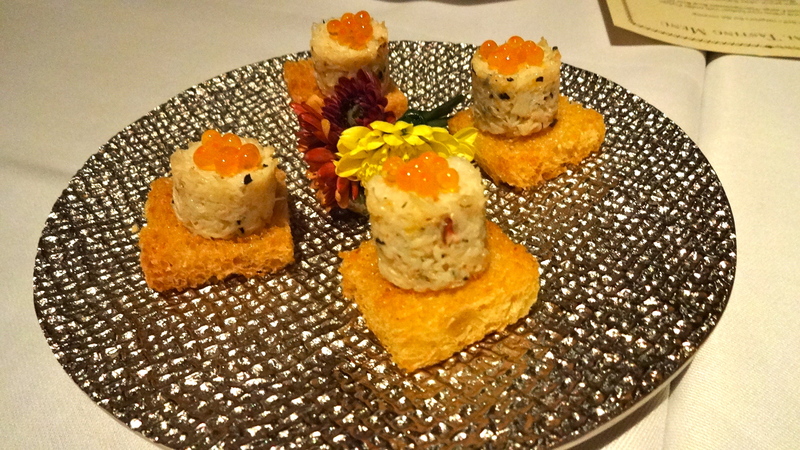 Amuse Bouche: Mini Crab Cakes (8/10). 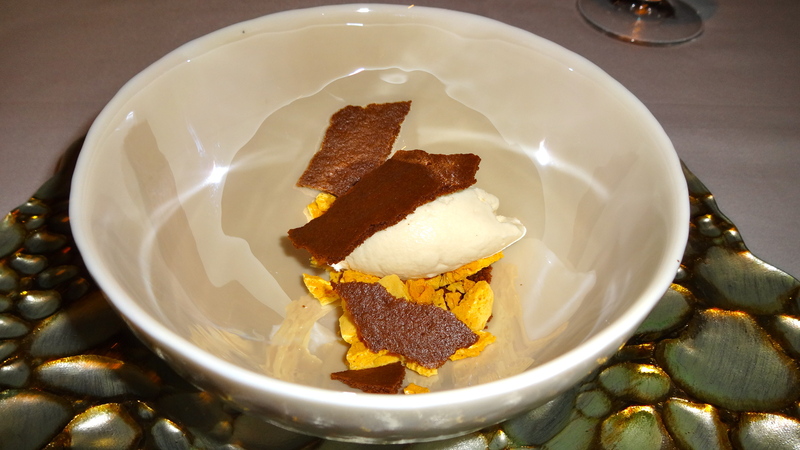 Yellow Corn Budino with Truffle Pearls (8.5/10). 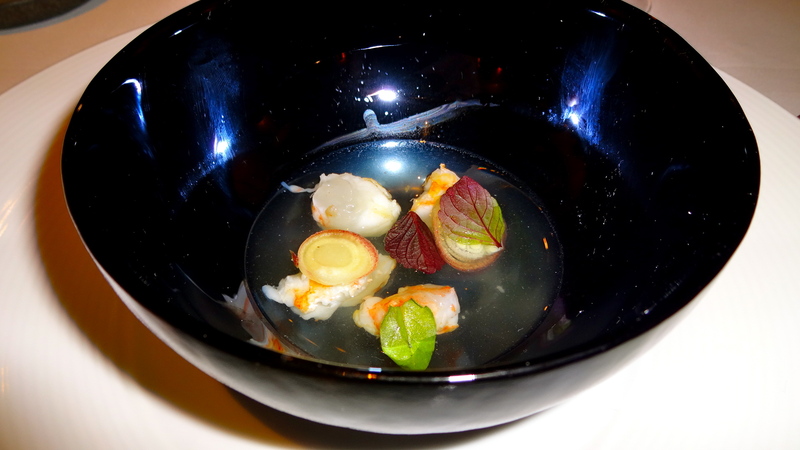 Grilled Spot Prawn, White Balsamic Dashi, and Basil (8/10). “Risotto” of Green Romano Beans, Parsley, and Fake Mussel (8.5/10). Gargati with Lobster and Cheese Fonduta (8.5-9/10). 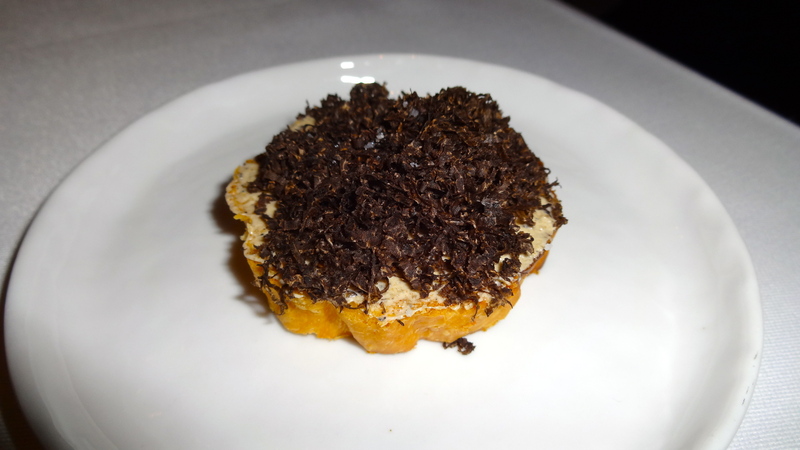 Brioche with Australian Black Truffle (8.5/10). Ridged Pasta with “Foie Gras”, Black Truffle, and Marsala (9/10). 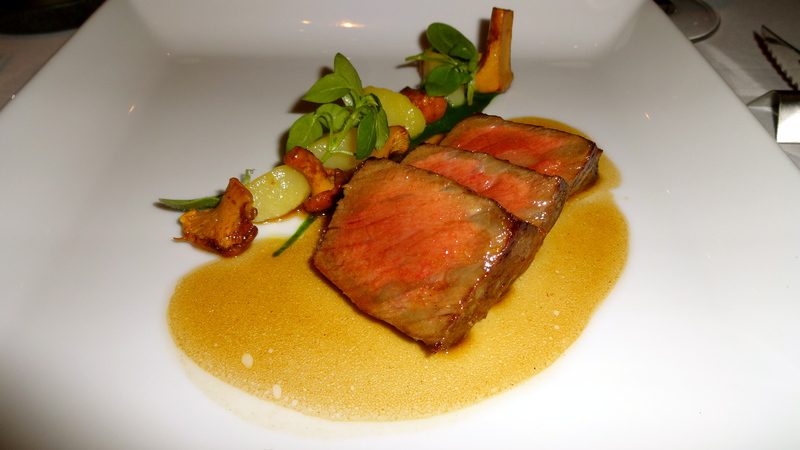 Steak, Chanterelle Mushrooms, and Confited Potatoes (8.5/10). 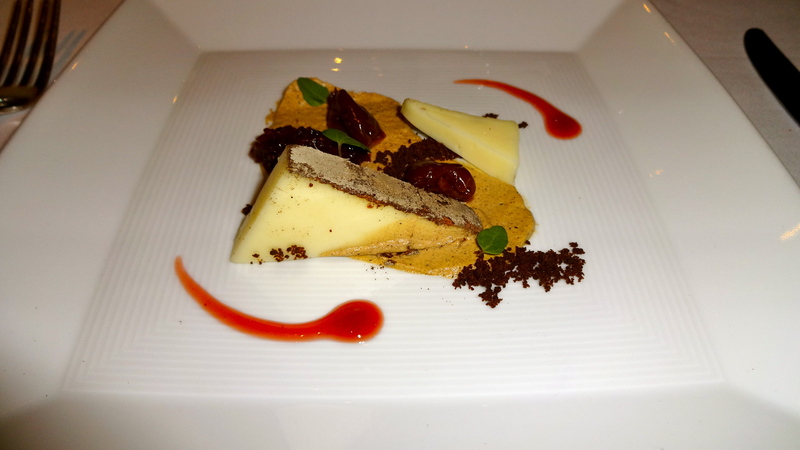 Sottocenere Cheese, Cocoa-espresso Crumb, and Brandied Cherries (7/10). 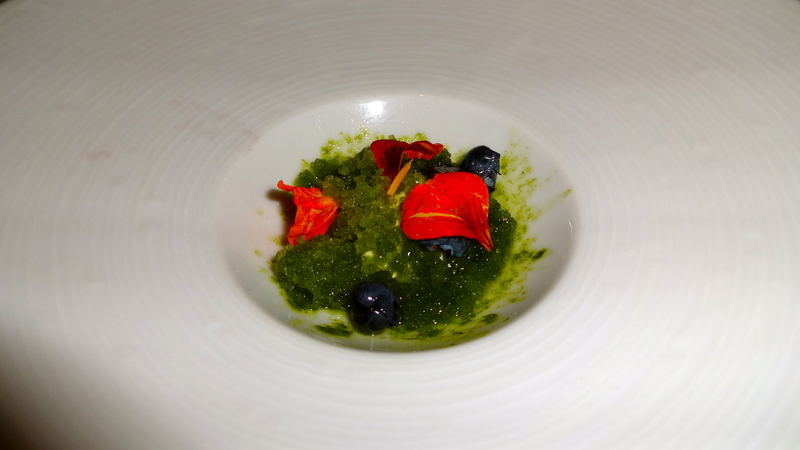 Nasturtium Granita, and Compressed Blueberries (7/10). Honey Cinnamon Gelato, Molasses Crumble, and Honeycomb (8.5-9/10). 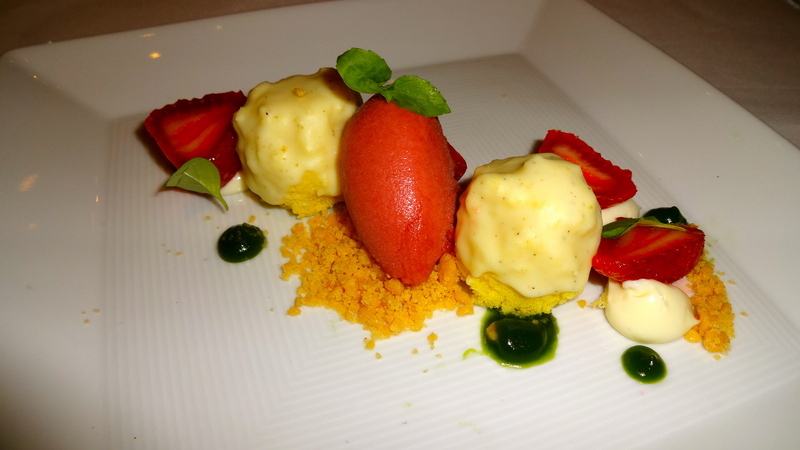 Pepper Chiffon Cake, Poached Strawberries, and Rhubarb Sorbet (8.5/10). 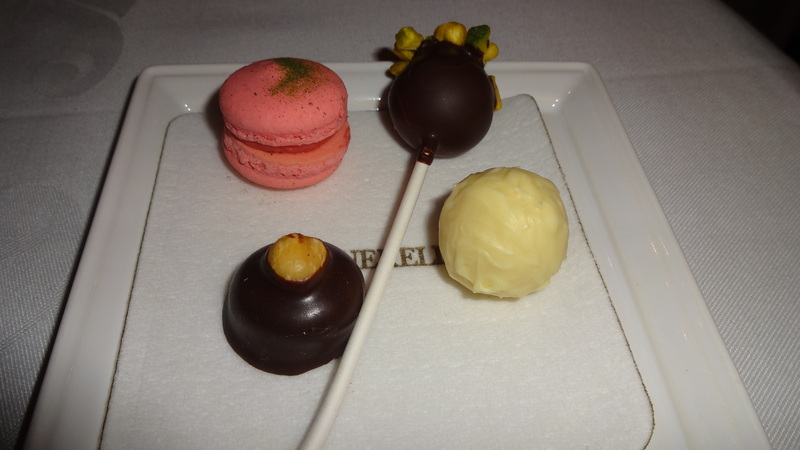 The entire summer degustation menu was truly sublime (8.5/10). 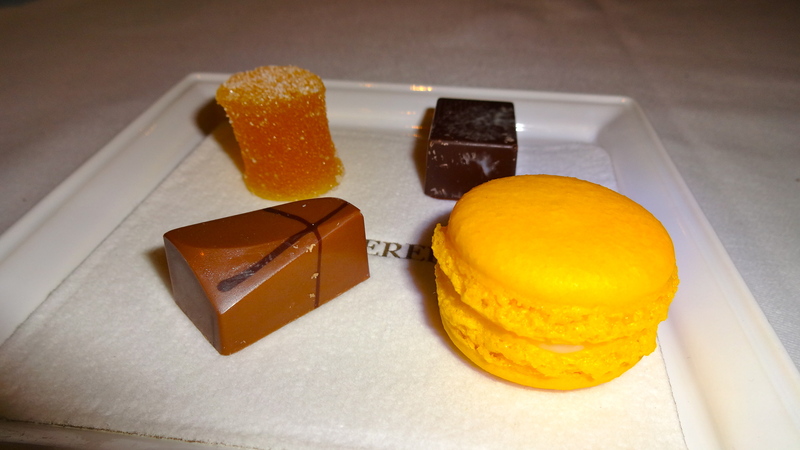 Some of my favorite dishes were the romano bean risotto, gargati pasta with lobster, and the ridged pasta with foie gras. The romano bean risotto was actually not even a risotto at all! There’s no rice in the dish, just green romano beans that are cooked to mimic a creamy risotto. 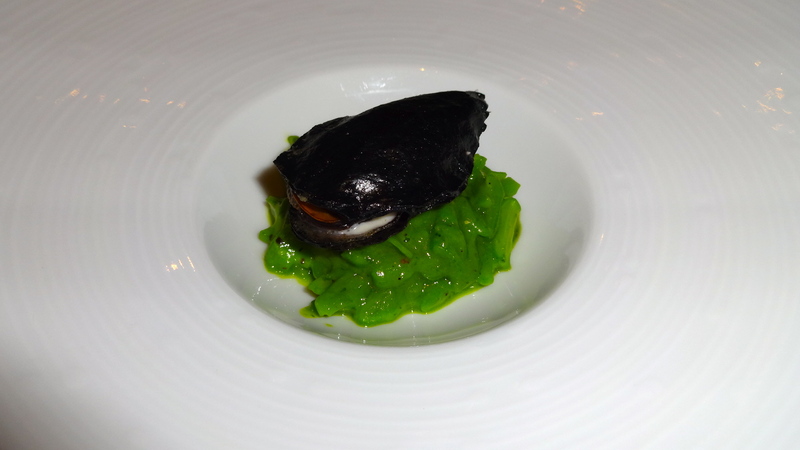 Also, the shell of mussel on top of the dish was edible! I have no idea how they made it but it had a similar texture to seaweed. 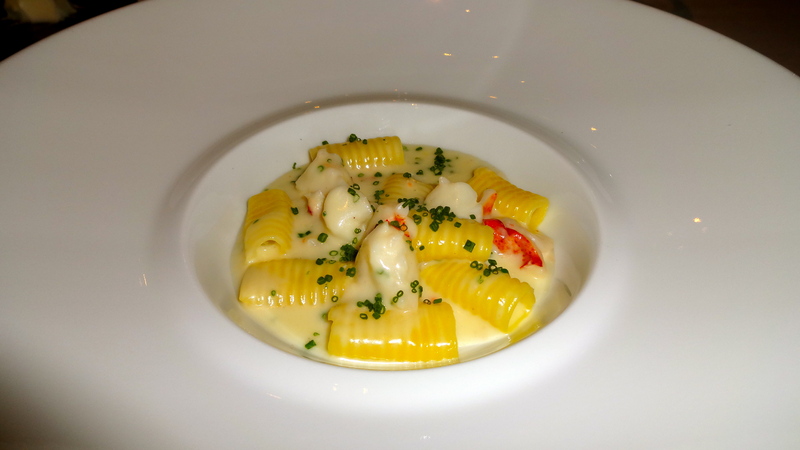 The gargati pasta with lobster was pure indulgence. Meaty tender pieces of lobster with handmade pasta and cheese fondue, I mean c’mon! What could be better? Lastly, the ridged pasta with foie gras, one of their signature dishes, was outstanding. Perfectly cooked al dente pasta in a creamy sauce flavored with foie gras with shavings of black truffle and hints of Marsala wine. Truly amazing. My second visit to Acquerello was in summer of 2014 where I opted for the à la carte menu and it was divine as well (8.5/10). Beef Tartare with Onion Soubise, White Celery, and Balsamic Pearl Onions (8.5/10). 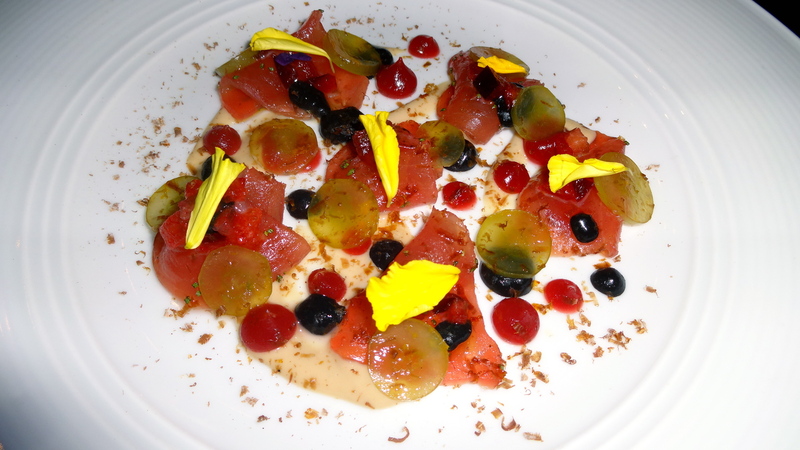 Ahi Tuna Crudo with Grapes, Pickled Plums, Black Olive, and Tonnato Sauce (8.5-9/10). 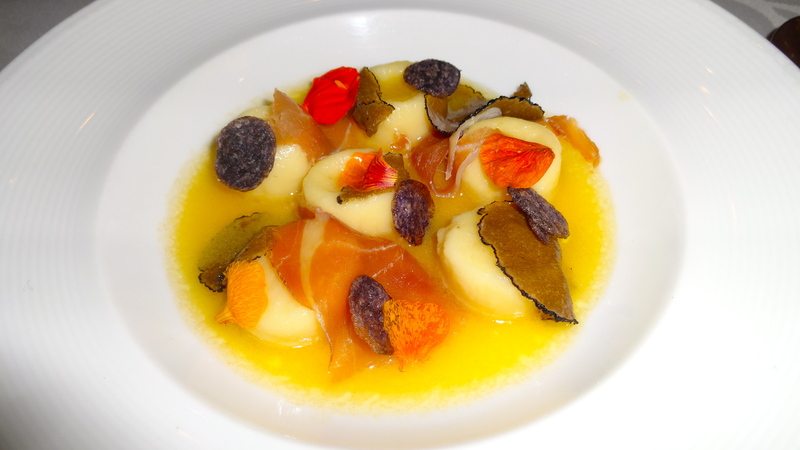 Smoked Potato Gnocchi with Prosciutto, Confited Truffle, and Parmigiano Reggiano Cheese (8.5-9/10). 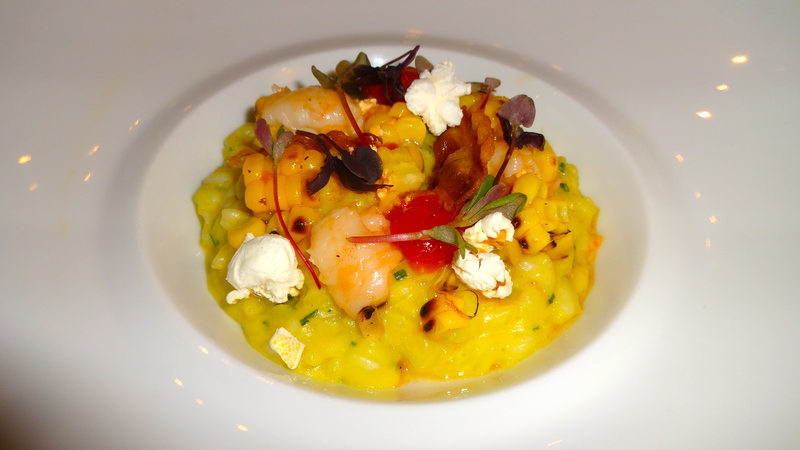 Tiger Prawn Risotto with Corn, Pancetta, and Calabrian Chili (8.5/10). 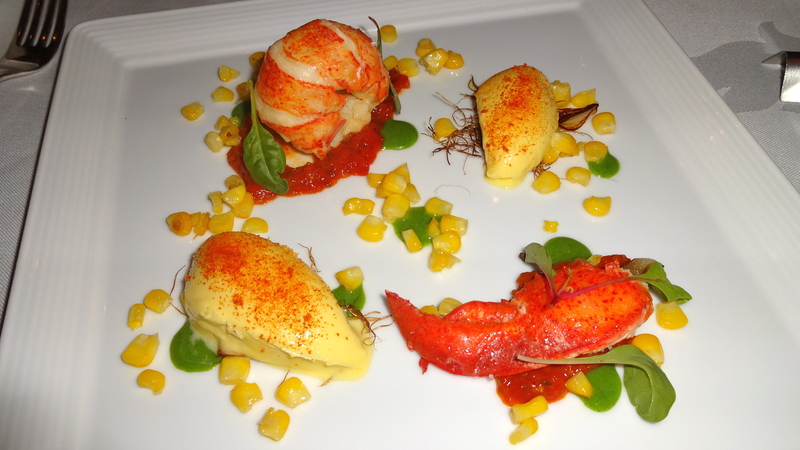 Lobster Tail with Smoked Butter, Corn Custard, Confit Tomato, and Tarragon (8.5/10). 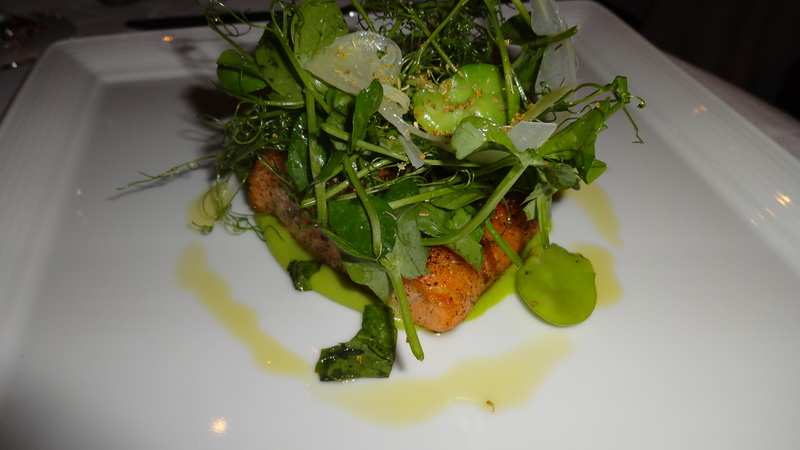 Black Pepper Crusted Scottish Salmon with Fava Beans, and Pea Tendrils (6.5-7/10). 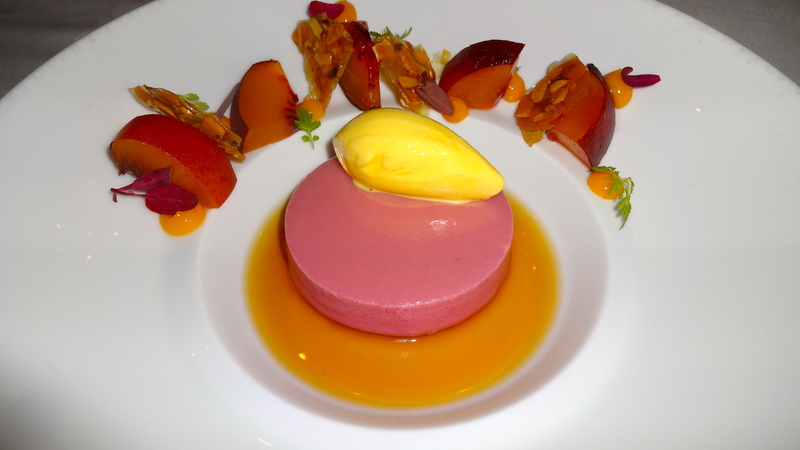 Peach Bavarese with Mango-Mint Gelato, Black Tea Consommé, and Almond Tuile (8.5-9/10). 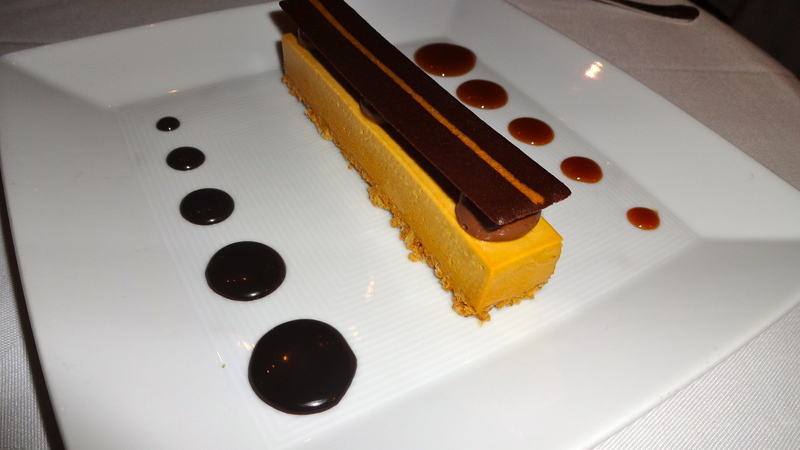 Bourbon Caramel Semifreddo with Amaretti Crust, and Chocolate and Caramel Sauce (8.5/10). Highlights of my second time dining here were the tuna crudo and the smoked potato gnocchi. 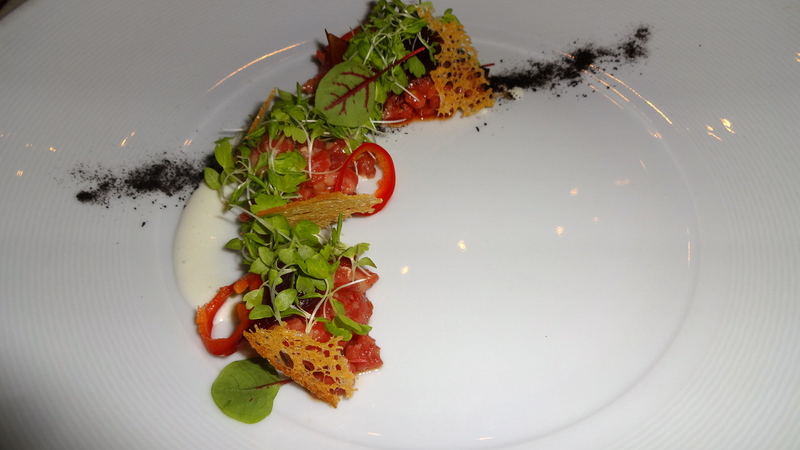 The ahi tuna crudo was paired with ingredients that I would never think of! Grapes, pickled plums, black olives, and even tonnato sauce (a traditional Italian sauce made from canned tuna) made the dish exciting and extremely original. The smoked potato gnocchi was executed perfectly. Slight hints of smokiness of pillowy soft potato dumplings with sweet prosciutto and aromatic truffle made this dish superb! 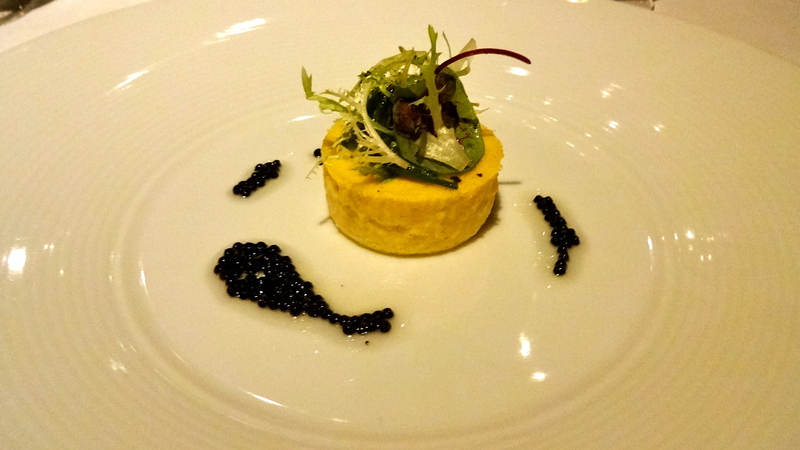 The chefs at Acquerello do an amazing job of expertly crafting each dish to perfection. Every single detail on the dish has a purpose to bring the plate to the next level. Unquestionably it has been some of the best contemporary Italian food I’ve eaten in the Bay Area. Pingback: 1760. | Sale, Pepe, Amore. 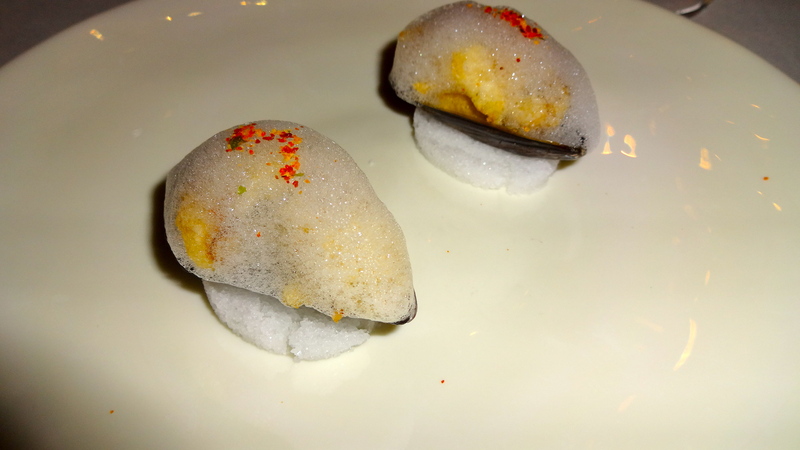 Pingback: Review: Quince. | Sale, Pepe, Amore.